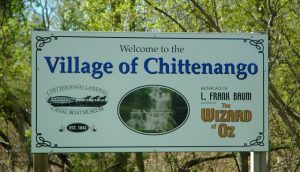 In 1978, Librarian Clara Houck set out on a mission to acknowledge the history of the Village of Chittenango as the Birthplace of author L. Frank Baum. Baum would go on to write the American fairy tale- “The Wonderful Wizard of Oz” to the delight of children around the world. Clara organized the very first celebration. Local children dressed up as OZ characters and paraded around the library parking lot on May 15th. Then they went inside, had birthday cake and sang Happy Birthday to L. Frank Baum. A lot has changed since then. The festival became a multi-day event. Changed names from Oz-Fest to Oz-Stravaganza, and saw crowds increase from a few hundred for the parade to several thousand for the festival. The event is now run by the International L. Frank Baum & All Things Oz Historical Foundation. A non-profit, 100% volunteer organization who does it all for the love of Oz. Town of Wheatfield and Oz Central heads are still on board with the proposed $800 million Magical Lands of Oz theme park, but things are moving at a slower pace than they would like…….this statement from 2008. 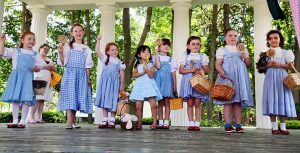 Discover the historic connection between The Wonderful Wizard of Oz series and these must-see sites in Coronado California. Frank Baum, the famous author of America’s classic Wizard of Oz series, resided in the Midwest but spent many of his winters in Southern California. He often stayed at our own Hotel del Coronado. While staying at the hotel, not only did Baum enjoy the sunshine, but he also wrote some of his Oz books there. The Hotel del Coronado’s grand Crown Room is home to four spectacular crown-shaped chandeliers designed by Baum, which visitors can still enjoy seeing today. L. Frank Baum’s historic Coronado home(1101 Star Park Circle), is a quaint yellow house that he rented during his stays. This is where he wrote three books in the Oz series: “Dorothy and the Wizard of Oz,” “The Emerald City of Oz” and “The Road to Oz.” Baum also wrote sections of “The Marvelous Land of Oz” while staying in Corornado. Local tip!From the sidewalk, see if you can spot the face of the Wicked Witch peering out from the side of this home. Be sure to stop by the Coronado Museum of History and Art(1100 Orange Avenue) to see the three First Editions Oz books by Baum. Admission to the museum is free. Oz Fans! Be sure to visit the museum’s gift shop, which has many unique Wizard of Oz gifts and souvenirs. 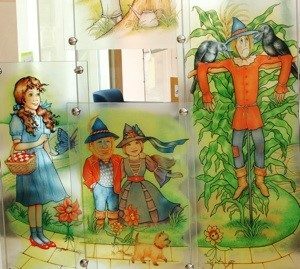 The Wizard of Oz Glass Art Exhibitat the Coronado Public Library, (640 Orange Ave) where Baum’s storybook jumps off the pages onto nine huge glass panels depicting Dorthy, the cowardly Lion, Scarecrow, Tin Man, Glenda the Good Witch, Munchkins and more. Want more fascinating facts and interesting tidbits about Coronado and Baum’s time on the island? Book a historic guided walking tourfrom Coronado Touring. 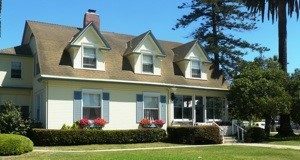 The tour departs Thursdays and Saturdays from Glorietta Bay inn and travels through downtown Coronado stopping at fun sites along the way. If you need a place to stay, consider spending the night in the “Author’s Study”at bed and breakfast 1906 Lodge at Coronado Beach. This room features framed art prints of the glittery Ruby Slippers, Dorothy meeting the cowardly Lion and original book cover of The Wizard of Oz book, plus an autobiography on Baum. Fun Fact! 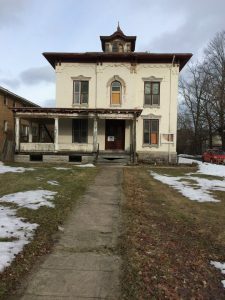 L. Frank Baum’s great grandson stayed at the 1906 Lodge in 2009. Thanks to the San Diego Convention & Visitors Bureau for supplying these fun things to do in Coronado, CA! So interesting. I found the house on Google earth (but not the Wicked Witch!). Terrific post. Thanks for giving your ideas. Something is that students have a choice between federal student loan plus a private education loan where it’s easier to decide on student loan debt consolidation than over the federal student loan. Hi there children, you all should watch hilarious video tutorials, but remember that first study then enjoyment ok.
What i don’t understood is actually how you’re not actually much more well-liked than you might be right now. You’re so intelligent. You realize thus considerably relating to this subject, produced me personally consider it from so many varied angles. Its like women and men aren’t fascinated unless it’s one thing to accomplish with Lady gaga! Your own stuffs great. Always maintain it up! Howdy! Quick question that’s totally off topic. Do you know how to make your site mobile friendly? My blog looks weird when browsing from my iphone. I’m trying to find a theme or plugin that might be able to resolve this problem. If you have any suggestions, please share. Thanks! It may be your host or your theme platform. I use WordPress. My nephew set it up after I did the website formatting. You might check with local community groups that have meet ups on these topics. The first few months of my blog focused on everything OZ and Star Wars, like history and movie/TV spin off’s. Then November happened and it has morphed into a much larger audience looking for hope and strong women. This Is what my vision was moving forward and I am thrilled it has taken off. Sharing and comments appreciated. I just want to mention I am just very new to blogging and absolutely enjoyed your website. Almost certainly I’m likely to bookmark your blog post . You absolutely come with really good well written articles. Bless you for sharing your blog site. I simply want to tell you that I am just very new to blogging and honestly enjoyed your web-site. Almost certainly I’m planning to bookmark your site . You certainly have fantastic posts. Many thanks for sharing your website page. Hello there, I found your web site via Google whilst looking for a comparable subject, your web site got here up, it seems great. I’ve bookmarked it in my google bookmarks. I do trust all of the ideas you’ve offered on your post. They’re very convincing and can definitely work. Nonetheless, the posts are too quick for newbies. May just you please lengthen them a little from next time? Thanks for the post. Hello, Neat post. There is an issue along with your web site in internet explorer, may check this¡K IE nonetheless is the market leader and a good section of other folks will omit your excellent writing because of this problem. Great awesome issues here. I¡¦m very glad to see your article. Thanks a lot and i am having a look ahead to touch you. Will you kindly drop me a mail? I am also commenting to make you know what a helpful experience my daughter developed reading through your web page. She learned a lot of pieces, most notably what it is like to have an incredible helping nature to have other folks effortlessly understand a variety of tricky topics. You really did more than people’s expected results. Thanks for distributing such great, dependable, edifying and in addition easy tips about that topic to Julie. Hi there, I found your web site via Google while searching for a comparable topic, your site came up, it seems to be good. I have bookmarked it in my google bookmarks. Hey here, just became receptive to your post through Google, and found that it is quite helpful. I’ll be grateful in the event you continue this informative article. Nice read, I just passed this onto a friend who was doing some research on that. And he just bought me lunch since I found it for him smile Therefore let me rephrase that: Thank you for lunch! “Procrastination is the thief of time.” by Edward Young. Heya there, just became mindful of your website through Search engine, and found that it is genuinely informational. I’ll like in the event you maintain this post. I do consider all the ideas you’ve introduced to your post. They are really convincing and can definitely work. Nonetheless, the posts are too brief for novices. Could you please lengthen them a little from subsequent time? Thank you for the post. Howdy there, just became aware of your blog page through Search engines like google, and have found that it’s quite interesting. I’ll be grateful if you decide to keep up such. I’ve been browsing online more than 3 hours nowadays, but I never found any fascinating article like yours. It is lovely worth sufficient for me. In my view, if all site owners and bloggers made just right content material as you probably did, the internet will be much more useful than ever before. “Learn to see in another’s calamity the ills which you should avoid.” by Publilius Syrus. Thank you, I’ve just been looking for info about this subject for a long time and yours is the greatest I’ve discovered so far. However, what in regards to the bottom line? Are you positive concerning the source? I like this web site very much, Its a really nice spot to read and incur info . “If at first you don’t succeed, you’re running about average.” by M. H. Alderson. I just want to say I’m very new to blogging and site-building and absolutely liked you’re web site. More than likely I’m likely to bookmark your blog . You actually come with superb articles. Kudos for sharing with us your website page. I simply want to tell you that I am beginner to blogs and absolutely savored you’re website. Probably I’m planning to bookmark your site . You really have amazing stories. With thanks for sharing with us your blog. Fantastic site. Plenty of helpful info here. I’m sending it to several friends ans also sharing in delicious. And obviously, thanks on your effort! I wanted to compose you the little bit of observation to be able to say thanks a lot yet again for all the breathtaking tactics you’ve shown on this page. It was so generous of people like you to allow openly all a few people could possibly have supplied for an electronic book to make some profit for themselves, chiefly given that you could possibly have done it in case you considered necessary. Those guidelines as well served to become a easy way to comprehend the rest have a similar dream just as my very own to see a great deal more on the subject of this condition. I believe there are millions of more fun moments ahead for people who looked over your blog.